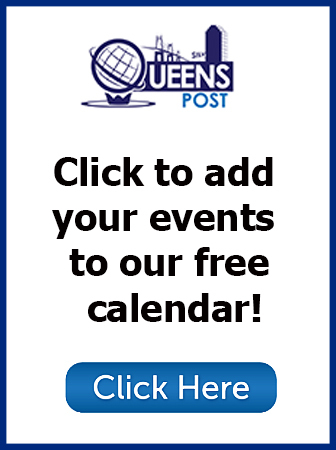 Throughout the Site, the terms “we,” “us” and “our” refer to Outer Boro Media and its properties (queenspost.com, licpost.com, sunnysidepost.com, astoriapost.com, flushingpost.com,Jacksonheightspost.com, foresthillspost.com, greenpointpost.com and queenspostmarket.com). YOU ACKNOWLEDGE AND AGREE THAT YOU ASSUME FULL RESPONSIBILITY FOR YOUR USE OF THE SITE. YOU ACKNOWLEDGE AND AGREE THAT ANY INFORMATION YOU SEND OR RECEIVE DURING YOUR USE OF THE SITE MAY NOT BE SECURE AND MAY BE INTERCEPTED BY UNAUTHORIZED PARTIES. YOU ACKNOWLEDGE AND AGREE THAT YOUR USE OF THE SITE IS AT YOUR OWN RISK AND THAT THE SITE IS MADE AVAILABLE TO YOU AT NO CHARGE. RECOGNIZING SUCH, YOU ACKNOWLEDGE AND AGREE THAT, TO THE FULLEST EXTENT PERMITTED BY APPLICABLE LAW (including consumer protection law), NEITHER Outer Boro NOR ITS AFFILIATES, licensors, SUPPLIERS OR THIRD PARTY CONTENT PROVIDERS WILL BE LIABLE FOR ANY DIRECT, INDIRECT, PUNITIVE, EXEMPLARY, INCIDENTAL, SPECIAL, CONSEQUENTIAL OR OTHER DAMAGES ARISING OUT OF OR IN ANY WAY RELATED TO (1) THIS SITE, OR ANY OTHER SITE or resource YOU ACCESS THROUGH A LINK FROM THIS SITE; (2) ANY ACTION WE TAKE OR FAIL TO TAKE AS A RESULT OF COMMUNICATIONS YOU SEND TO US; (3) ANY DELAY OR INABILITY TO USE THE SITE OR ANY INFORMATION, PRODUCTS OR SERVICES ADVERTISED IN OR OBTAINED THROUGH THE SITE; (4) THE MODIFICATION, REMOVAL OR DELETION OF ANY CONTENT SUBMITTED OR POSTED ON the SITE; OR (5) ANY USE OF THE SITE, WHETHER BASED ON CONTRACT, TORT, STRICT LIABILITY OR OTHERWISE, EVEN IF Outer Boro OR its AFFILIATES, licensors, SUPPLIERS OR THIRD PARTY CONTENT PROVIDERS HAve BEEN ADVISED OF THE POSSIBILITY OF DAMAGES. IT IS THE RESPONSIBILITY OF THE USER TO EVALUATE THE ACCURACY, COMPLETENESS OR USEFULNESS OF ANY OPINION, ADVICE OR OTHER CONTENT AVAILABLE THROUGH THE SITE, OR OBTAINED FROM A LINKED SITE OR RESOURCE. THIS DISCLAIMER APPLIES, WITHOUT LIMITATION, TO ANY DAMAGES OR INJURY ARISING FROM ANY FAILURE OF PERFORMANCE, ERROR, OMISSION, INTERRUPTION, DELETION, DEFECT, DELAY IN OPERATION OR TRANSMISSION, COMPUTER VIRUS, FILE CORRUPTION, COMMUNICATION-LINE FAILURE, NETWORK OR SYSTEM OUTAGE, LOSS OF PROFITS BY YOU, OR THEFT, DESTRUCTION, UNAUTHORIZED ACCESS TO, ALTERATION OF, LOSS OR USE OF ANY RECORD OR DATA, AND ANY OTHER TANGIBLE OR INTANGIBLE LOSS. YOU SPECIFICALLY ACKNOWLEDGE AND AGREE THAT NEITHER OUT BORO NOR ITS AFFILIATES, licensors, SUPPLIERS OR THIRD PARTY CONTENT PROVIDERS SHALL BE LIABLE FOR ANY DEFAMATORY, OFFENSIVE OR ILLEGAL CONDUCT OF ANY USER OF THE SITE. YOUR SOLE AND EXCLUSIVE REMEDY FOR ANY OF THE ABOVE CLAIMS OR ANY DISPUTE WIT OUT BORO IS TO DISCONTINUE YOUR USE OF THE SITE. YOU AND OUTER BORO AGREE THAT ANY CAUSE OF ACTION ARISING OUT OF OR RELATED TO THE SITE MUST COMMENCE WITHIN ONE (1) YEAR AFTER THE CAUSE OF ACTION ACCRUES OR THE CAUSE OF ACTION IS PERMANENTLY BARRED. BECAUSE SOME JURISDICTIONS DO NOT ALLOW LIMITATIONS ON HOW LONG AN IMPLIED WARRANTY LASTS, OR THE EXCLUSION OR LIMITATION OF LIABILITY FOR CONSEQUENTIAL OR INCIDENTAL DAMAGES, ALL OR A PORTION OF THE ABOVE LIMITATION MAY NOT APPLY TO YOU. Outer Boro may update this contact information from time to time without notice to you. We will post the current contact information on this Site.